Gov. Greg Abbott spared the life of a death row inmate less than an hour before his scheduled execution. Republican Gov. 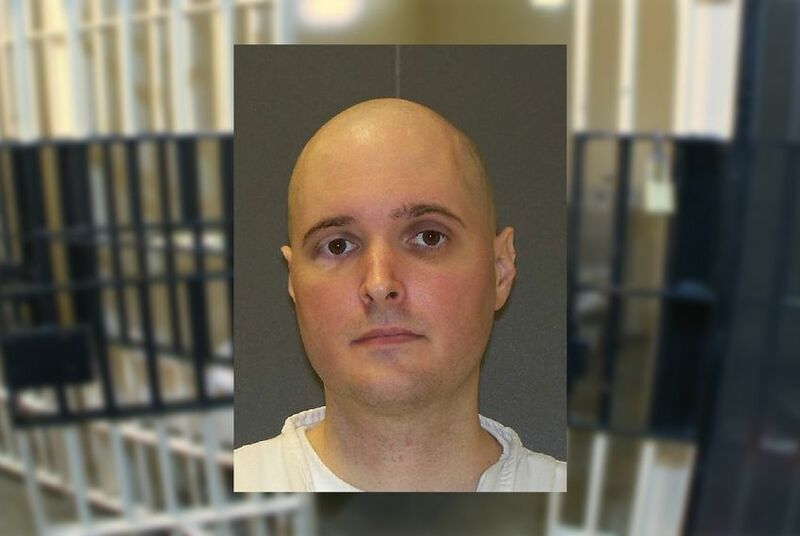 Greg Abbott broke that streak at the last minute Thursday when he accepted the state parole board’s rare and unanimous recommendation to grant clemency for death row inmate Thomas Whitaker. Abbott's order came down less than an hour before Whitaker's scheduled execution. Whitaker was set to die for the 2003 murders of his mother and brother in Fort Bend County. Whitaker was in the death chamber's holding cell when Abbott's decision came down. He said he was thankful for the decision, not for himself but for his dad, said Jason Clark, a spokesman for the Texas Department of Criminal Justice. “I deserve any punishment for my crimes, but my dad did nothing wrong," Whitaker said, according to Clark. "The system worked for him today, and I’ll do my best to uphold my end of the bargain." Whitaker, 38, planned the murders of his family with his roommate, Chris Brashear, who shot the murder victims and Whitaker’s father, Kent, as they all came home from dinner one evening. The roommates had planned the murders to get inheritance money. He was sentenced to death in the murders in 2007, despite pleas for a life sentence from his father, who survived a gunshot wound to the chest in the shooting. The prosecutor rejected a guilty plea offer because he said Whitaker wasn't remorseful and was being manipulative. Brashear got a life sentence and is eligible for parole in 2035. Kent Whitaker fought for mercy for his son throughout his death sentence. He pleaded with the parole board and Abbott not to take his son away since he had already lost the rest of his family. “There’s a chance for the governor to be tough on crime and still grant me the victim’s right to ask for mercy,” he told press at the Texas Capitol Tuesday afternoon, just before the board vote came in. Death row inmates and former prison guards also sent letters to the parole board, attesting to Whitaker's good character, saying he was a model prisoner and helped other inmates on death row, according to his petition for clemency. Meanwhile, the prosecutor in Whitaker’s case, Fred Felcman, and a juror in the case opposed clemency. State Rep. Joe Moody, a Democrat from El Paso who chairs the House Committee on Criminal Jurisprudence, said in a letter to Abbott that he understood the jury's desire to carry out the ultimate punishment but asked the governor to grant clemency. A Republican lawmaker, state Rep. Jeff Leach, of Plano, also worked to convince Abbott to change Whitaker’s sentence Thursday, he said. After Abbott granted clemency, Leach tweeted, "Our governor is amazing! This is the right decision. With this act of mercy, justice has been served." Abbott said in his statement that he has the utmost regard for the role that juries and judges play but that his role as governor is to consider recommendations from the parole board and view matters through "through a lens broader than the facts and law applied to a single case." He emphasized that in his more than three years in office, he has allowed 30 executions to proceed. This was the first time Abbott has been forced to make the final decision for a death row inmate facing execution. In his previous job as state attorney general, Abbott portrayed a “tough-on-crime” attitude and regularly fought in court to move death sentences and executions forward. Abbott's predecessor in the governor's office, Rick Perry, rejected two clemency recommendations for inmates facing execution and accepted one over 14 years, according to data kept by the Texas Coalition to Abolish the Death Penalty. None of the three were unanimous decisions by the pardons and parole board, like in Whitaker’s case. Since he is no longer a death row inmate, Whitaker will be transferred to an intake facility where he’ll be reassessed. In the coming weeks, prison staff will look at his background and medical history and decide where and how he should be housed. If the execution had proceeded, Kent Whitaker had planned to attend. Earlier Thursday, he visited his son and said goodbye through a glass pane. “My wife and I and Thomas all put our hands on the glass and said how much we loved each other,” he said in a text to The Texas Tribune.